Here is a look at the coil assembly, part of my 10-60 meter vertical. It is tapped for 40 meters in this shot. The whip up top of the coil is 12 feet in length, with the mast assembly beneath the coil being 9 feet in length. 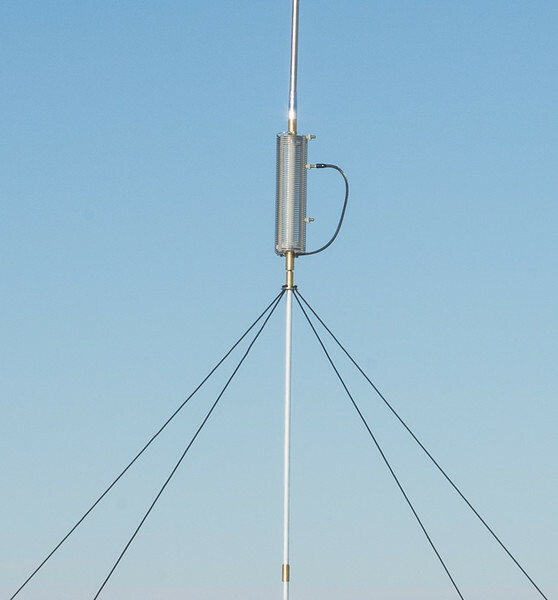 The overall length of this antenna from the bottom to the top is 20 feet overall.